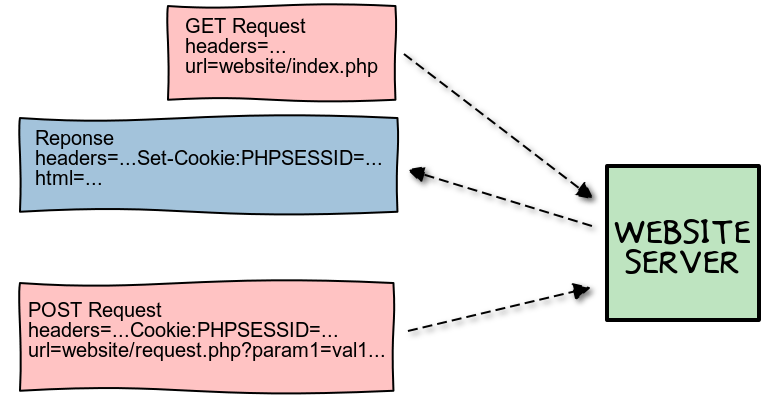 A month ago, I wanted to automate queries to a website that is using the PHPSESSID cookie to keep track of sessions. I struggled a lot and couldn't find any documentation covering the behaviour I was observing. But yesterday I finally found a solution ! In hope it could help others, I'm going to expose my findings here. I won't detail all my initial attempts and only focus on how to use the amazing mitmproxy command. 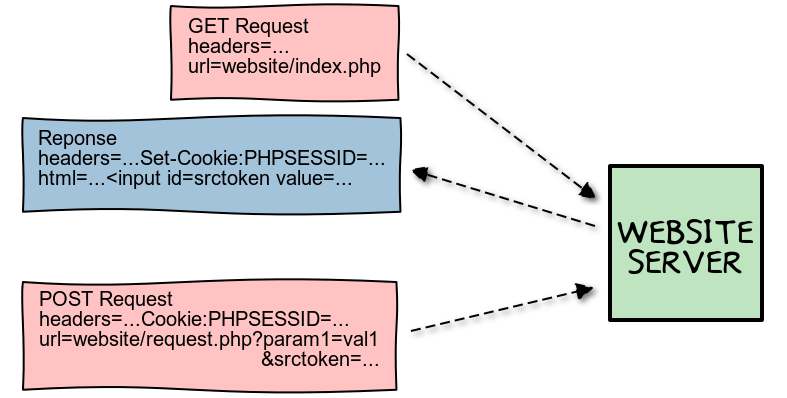 First, some exposition : the PHPSESSID cookie is used by PHP to keep track of sessions. It is generated when first accessing the website and sent to the client in the initial response headers. For the session to "stick", the client must include that cookie in every later request to the server. But on the server side, the PHPSESSID cookie has an expiration date (in my case after 20 minutes). So in order to automate queries to the website I had to find a way to automatically extract and reuse that cookie. Now, quoting the official documentation, mitmproxy is an interactive console program that allows traffic flows to be intercepted, inspected, modified and replayed. start the proxy so it listens on 0.0.0.0:8080 : mitmproxy --host. The interactive window opened should be empty, you can get the list of available commands with ?. configure your browser to use this adress as a proxy to access the Internet. Personnally I'm using Firefox, with a "private window" to start with a fresh context (e.g. in terms of cookies) and the Toggle Proxy add-on button to activate/deactivate the proxy in one click 1. Now you can browse to the website you want to interract with, and mitmproxy will record the traffic "flows" generated. Once you are done, save the record in a file : w a traffic.mitm. And exit : q y. To experience the full capabilities of mitmproxy, launch the command again without parameters and re-open & replay the "traffic flows" file with c traffic.mitm. The arrow keys will let you navigate between the flows, and you'll be able to selectively replay a flow with r or inspect one by pressing Enter. In the flow view, you'll see the request headers and can switch to the response details by pressing Tab. Not only mitmproxy let you replay recorded traffic, you can also programmatically modify your requests using inline scripts. That's an awesome feature, and a few weeks ago I was able in no time to write a basic script that recorded the PHPSESSID cookie generated on the first request to the website, and inject it in the following requests. 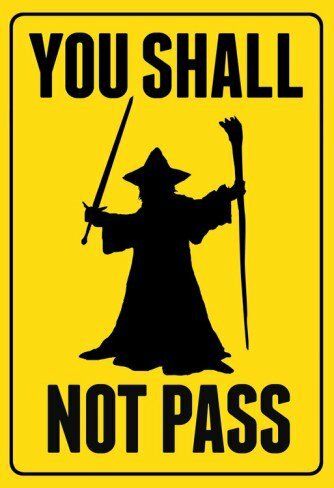 What I only realized yesterday is that I missed one key element: the srctoken input value. This doesn't seem like a widely used method, but at each request my PHP website was generating a form input tag with a different predefined value. This form parameter was then sent in the next POST request query url.